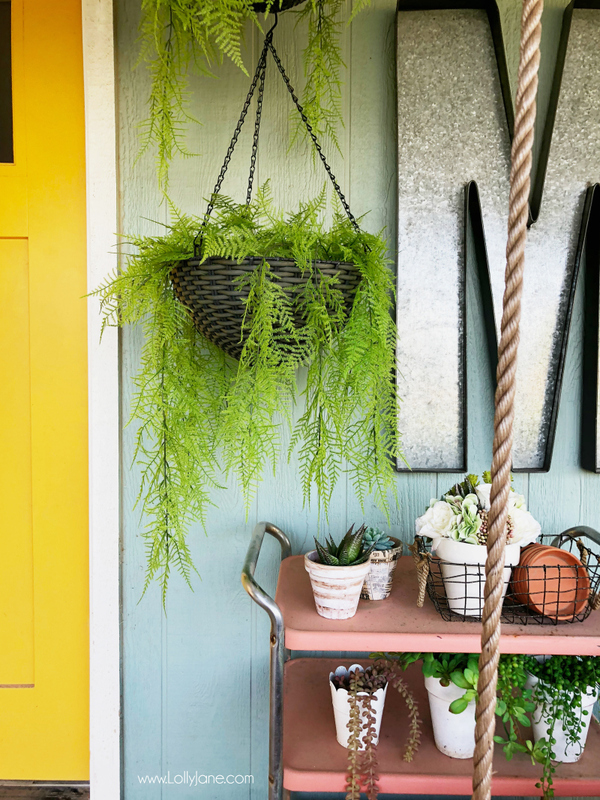 Decorating with hanging plants, the perfect touches for your porch decor. learn about the best hanging flowers, the time of year to plant them and how to pair greens with florals. We’ve talked about being daughters of a farmer which comes in very handy when we decorate with plants! Our dad is our go-to for information on all things agriculture. You know our love of succulents, real and artificial. 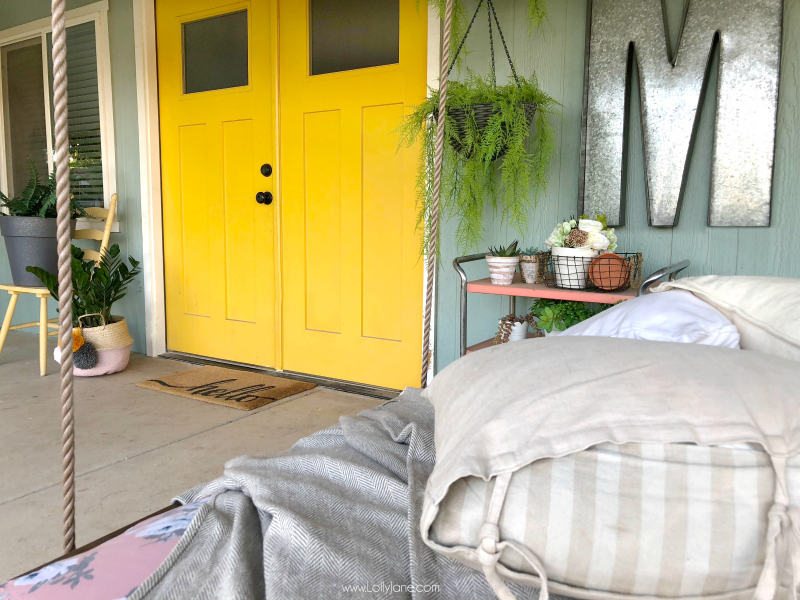 We’ve once again partnered with AFloral to share ideas on decorating with hanging plants for the porch. When can you plant hanging baskets? April to May are ideal when planting so you can enjoy your blooms and greens all summer long. 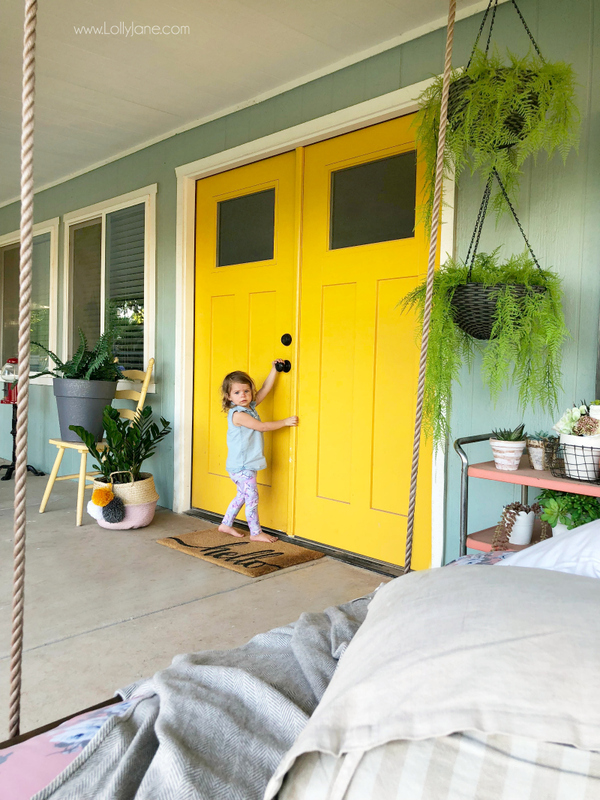 Spring is the perfect time to get your porch summer ready so we’re sharing our tips to help you get your outdoor spaces plant pretty, the low maintenance way. 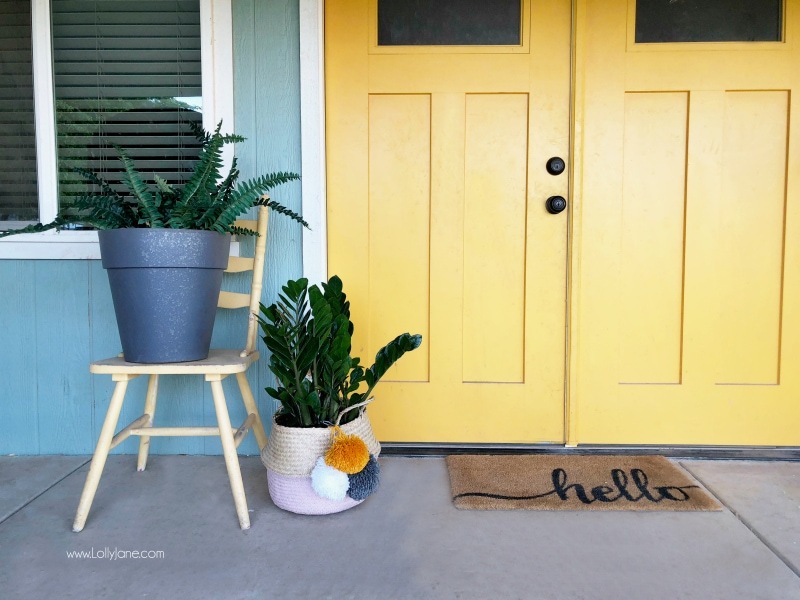 It’s not too late to plant but if you missed the boat, these pretty fauxs are the perfect touch to spruce up your outdoor space! Our little Annika couldn’t get enough of these hanging baskets. 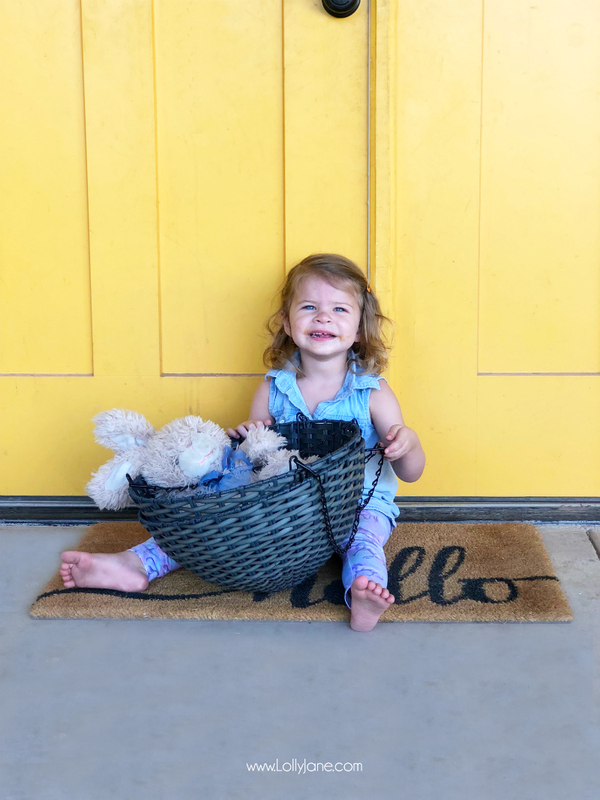 She was toting her toys around all morning when we were figuring out where to hang them, it was adorable. They were our base when decorating the back porch. 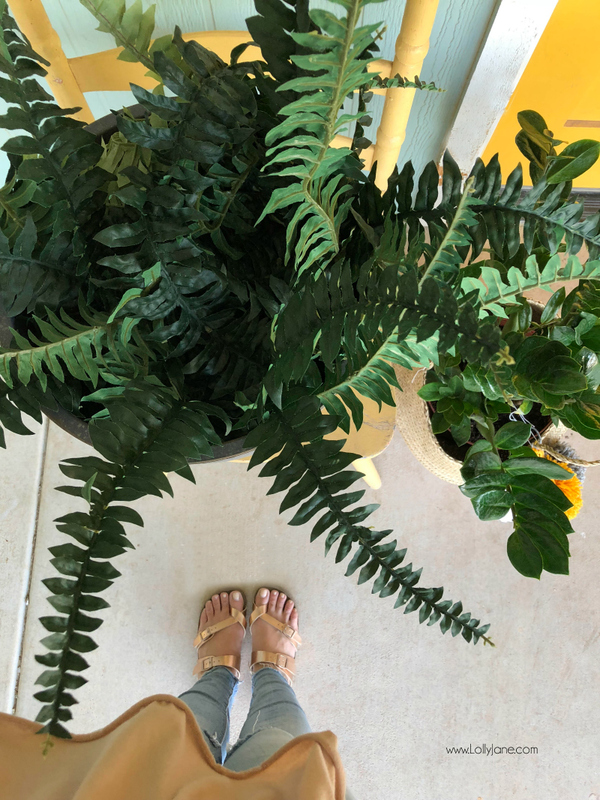 We knew we wanted ferns and love all the other fillers flowers and plants that were added to accessorize our outdoor bar cart. 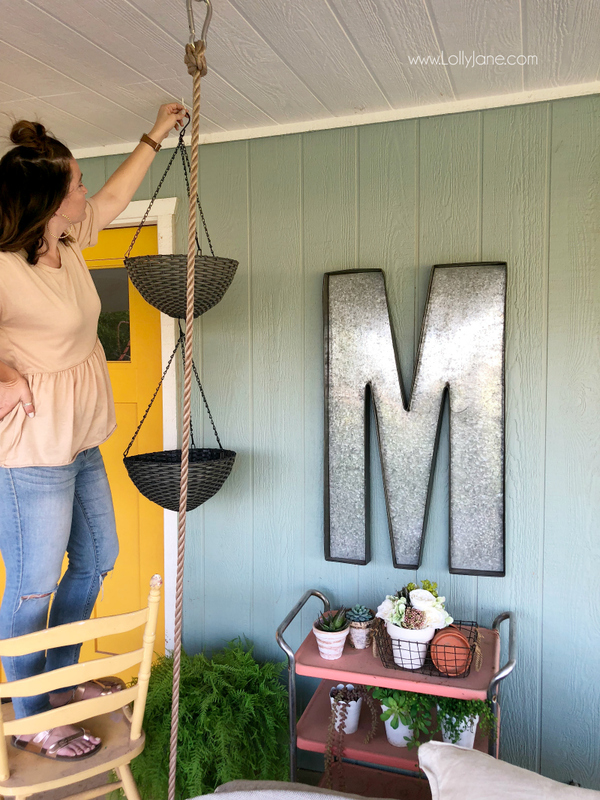 How to hang hanging planters. 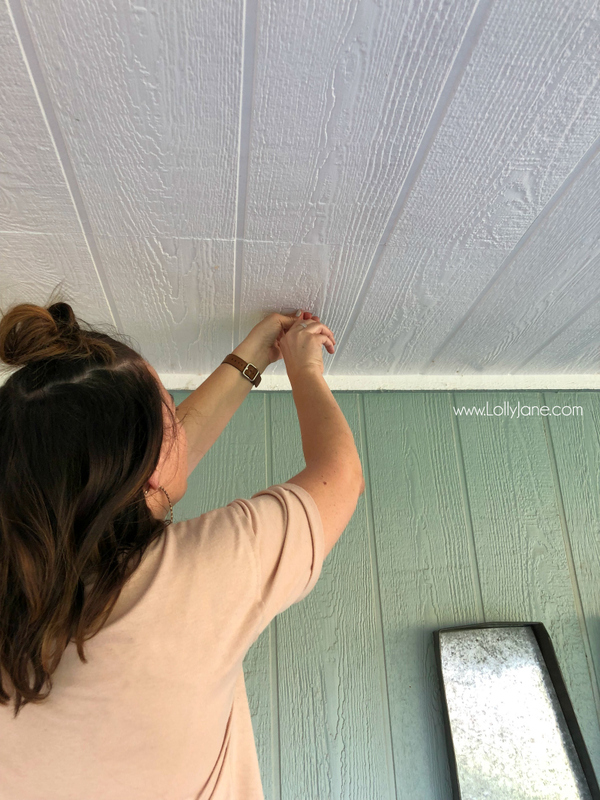 We used a cup hook to hang the planters from the porch ceiling. We pre-drilled it with a small bit then cranked it into place. We looped the hook from the bottom planter into the bottom of the top planter to create a double hanging planter. The Asparagus Fern is so pretty weeping over the edges. We then filled our painted bar cart up with old assorted pots. We filled them with sedum succulents, a gorgeous succulent bouquet that we took apart plus our favorite string of pearls, so pretty! We also filled galvanized tins with weeping boston ferns and love how full one pick is, a lot of bang for your buck! 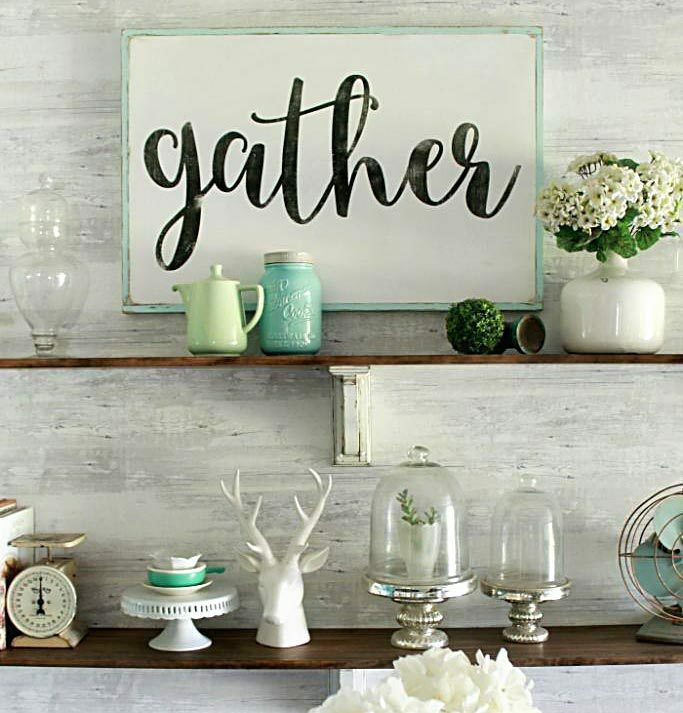 We’ve included some quick info on decorating your own space below with greenery. Drop any questions you have and we’ll be sure to ask our dad for you, as well. These are applicable for what artificial greens would pair well with hanging planters so browse AFloral to find your perfect match! What plants grow well in hanging baskets? Ferns, English Ivy and Periwinkle are common hanging plants. If you’re in the market for plants that aren’t ferns, flowers love baskets too! Consider Verbena, Lobelia, Moss Roses, Geraniums, Lantana, Petunias and/or Signet Marigolds. 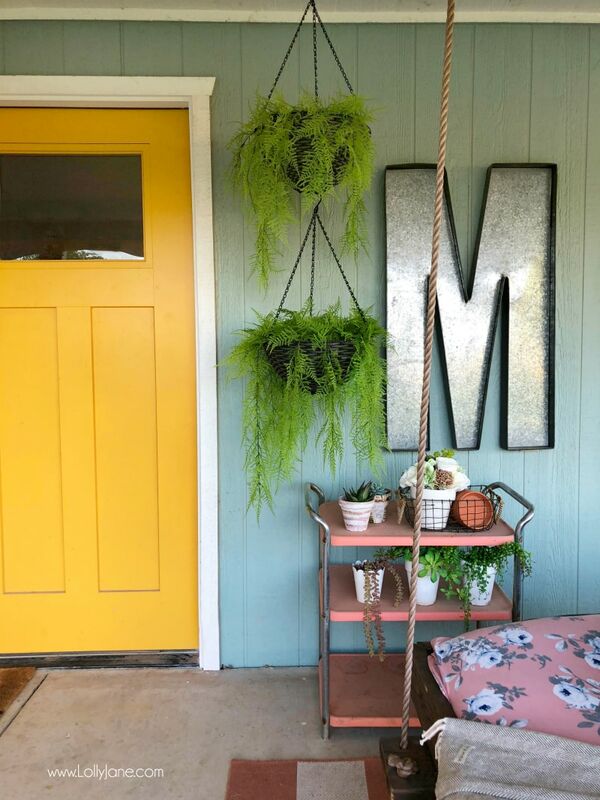 Looking for which hanging plants will best suite your space for spring and summer? 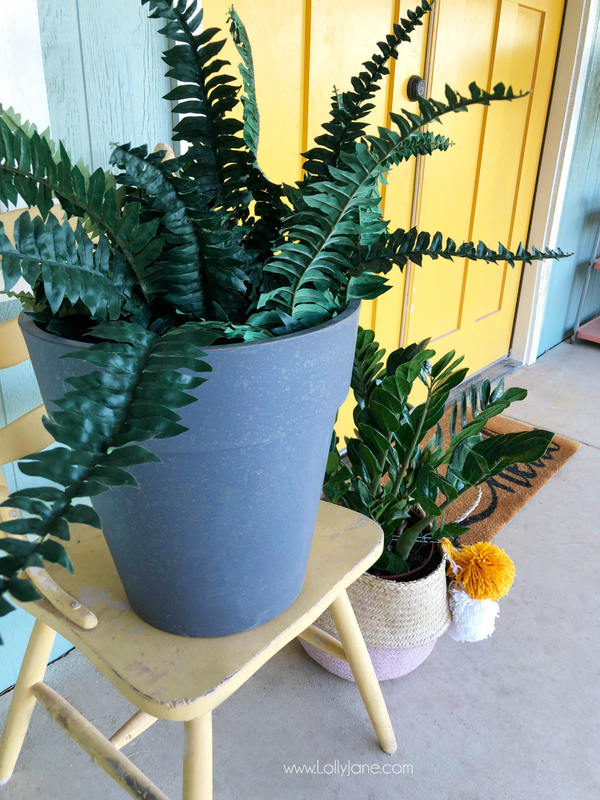 Tassel ferns are perfect for filling large spaces on porches or patios, and they work great in multiples along with Marble Queen Pothos, Kalanchoe, Spiky Blue Gray Hair Grass, Eastern Hay-Scented Fern, Begonia and Staghorn Ferns. How often do you need to water hanging baskets? Keep in mind that hanging plants tend to dry out faster so water them daily or at least take a peek at them every morning. A good rule of thumb is to water your hanging plants when the soil surface becomes dry to the touch. Apply water until it begins to flow out the bottom of the container. Visit more ideas with AFloral goodies! 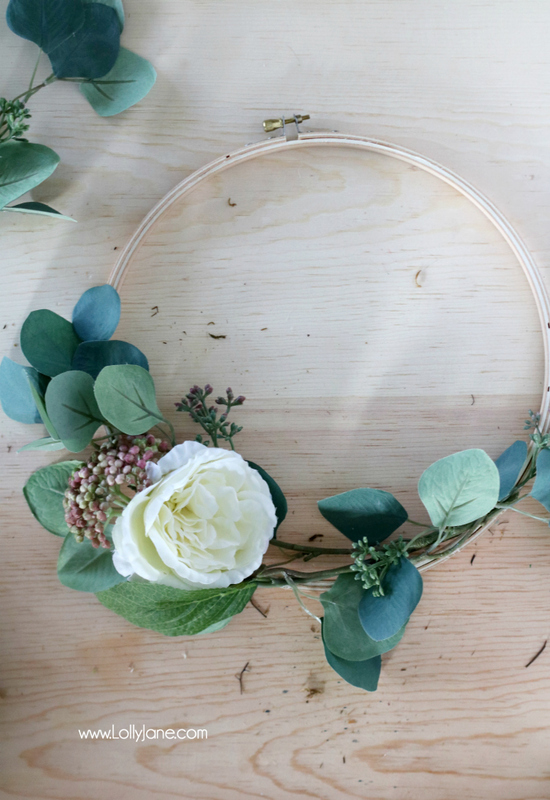 How to make an embroidery hoop wreath with florals. 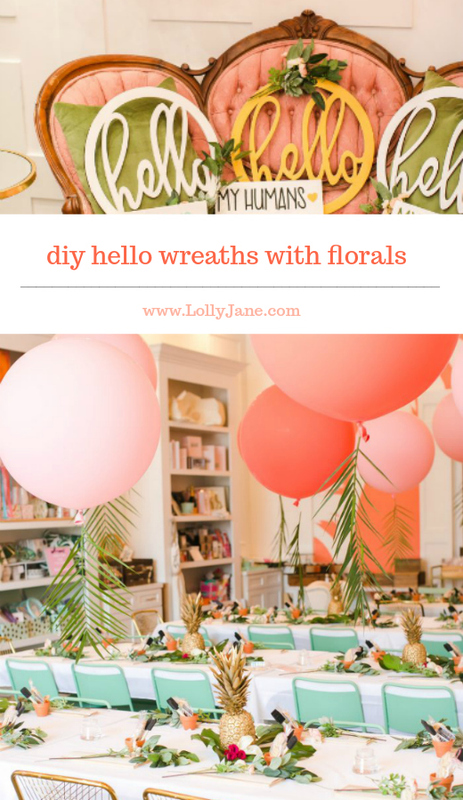 How to make a hello wreath with florals.